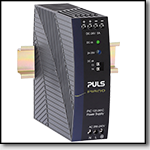 At only 39mm (1.53in) wide the PULS CP10 breaks all barriers for performance and size. 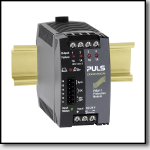 The PULS CP10 Series accepts a wide range 100-240VAC input, is available in output voltage ranges of 12-15V, 24-28V, 36-42V, & 48-56V, and also includes a DC OK contact. Other standard features include 20% current reserves, extremely low AC inrush, and robust overload capabilities to trip protective devices. The CP10 Series sets a new standard for energy efficiency at 95.2%. 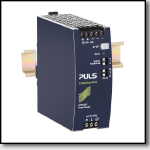 This reduction of energy consumption, power losses, and heat generation provides a longer service lifetime of the power supply and the surrounding components in control systems.